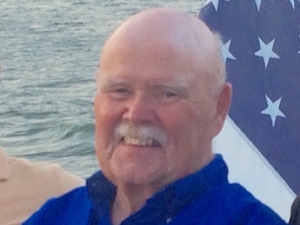 Ray Finnegan — Riverdale-on-Hudson Funeral Home, Inc.
Ray Finnegan, 70, is survived by Maureen (née Manley), his wife of 36 years and his daughters, Kate and Keri. He was a beloved brother to Pat Finnegan & Joanne Girard and uncle and grand uncle to many, and friend to more than we can count. He was born and raised in the Bronx and later lived in Demarest, NJ and Hampton Bays, NY. After graduating from Manhattan College in 1970 ( Go, Jaspers!) and later earning his Masters in Finance from LIU, Ray had a very successful 34-year career as a civil engineer with the Port Authority where he started as a summer intern and retired as the Assistant Chief Engineer. 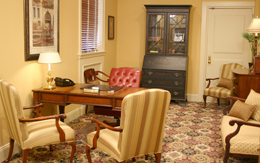 After retiring from the PA, Ray enjoyed working for Ferreira Construction Company. While at the Port Authority Ray met Maureen when she worked for his best friend, Jack Spencer. Both Ray and Jack survived the terrorist attacks on the World Trade Center in 1993 and 2001. He greatly enjoyed planning many vacations with family and friends, golfing with his fellow Jaspers on the weekends and relaxing with Maureen at his home in Hampton Bays. Reposing Saturday and Sunday 2-6 pm at Riverdale-on-Hudson Funeral Home, 6110 Riverdale Avenue, Bronx NY. Mass of Christian Burial 10:30 am Monday at St. Rosalie Church, 31 E. Montauk Hwy, Hampton Bays, NY. Interment Good Ground Cemetery, Hampton Bays, NY. Maureen, Kate & Keri extend their gratitude to Memorial Sloan Kettering Cancer Center for caring for him for 12 years. In lieu of flowers, the family requests donations in Ray’s name to Memorial Sloan Kettering (mskcc.org) or Tuesday's children (tuesdayschildren.org).